Sinicuichi, this perennial shrub native to Mexico and Central America, goes by several names. Officially called Heimia salicifolia, it is also known as yerba de animas (herb of the spirits) and sun opener. The plant itself is rather common looking, with few distinguishing features. Sinicuichi can grow to be 3 meters tall and 6 meters wide. 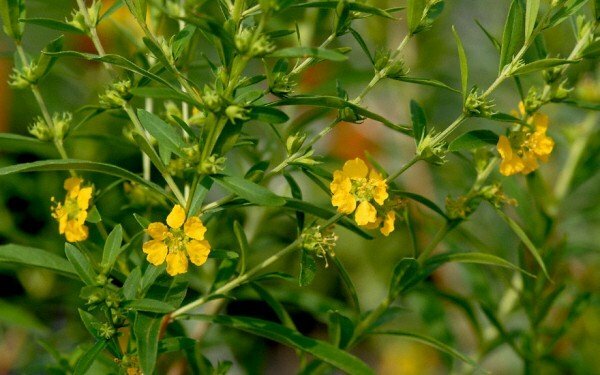 The plant has many thin branches and yellow flowers of about 2 centimetres in diameter. Sinicuichi has been used by the indigenous tribes of what is Mexico today for several hundred years. As one of its names suggests, it is thought to be strongly connected to the sun. Sinicuichi was likely first used in rituals in connection with Xochipilli, the Aztec god of spring and flowers. Since then, sinicuichi has been used by many indigenous tribes for its medical and spiritual properties. The tea made from sinicuichi is thought to convey the sun’s wisdom to the drinkers. Its most common name, sinicuichi refers to the Mexican magical drink which causes oblivion. Relatively little research has been done on the effects of sinicuichi and their cause. The sun opener contains several alkaloids, of which vertine (a.k.a cryogenine) is considered the main psychoactive compound. There are various effects associated with the consumption of sinicuichi. However, these are not all present at every occasion and for all users. The effects that seem to be the most common are auditory hallucinations and a yellow tinge to the vision. The latter is said to persist even after primary effects have faded. The effects have been likened to those caused by wild dagga. Sinicuichi is not a controlled plant in most countries, which means it may be bought, cultivated, possessed and traded freely and legally. There are also no laws specifically regulating the consumption of sun opener, though it must conform to the respective laws when sold as a supplement. A notable exception from this is Louisiana, where possession and sale of plants with hallucinogenic content – including sinicuichi – is prohibited by the Louisiana State Act No 159. Plants may still be used for aesthetic, landscaping or decorative purposes, but not for human consumption. To summarise, sun opener is legal in practically all other countries and states. However, make sure to consult the appropriate laws before making the decision to buy or try sinicuichi. I can’t personally recommend any sinicuichi vendors in Europes at the moment. Sinicuichi has been used by tribes native to Central America for over a thousand years for its healing properties. The reason the plant has so many names is because it was used and named by dozens of different tribes. The traditional medical uses overlap with the properties also discovered by modern medicine (see Health benefits of sinicuichi). 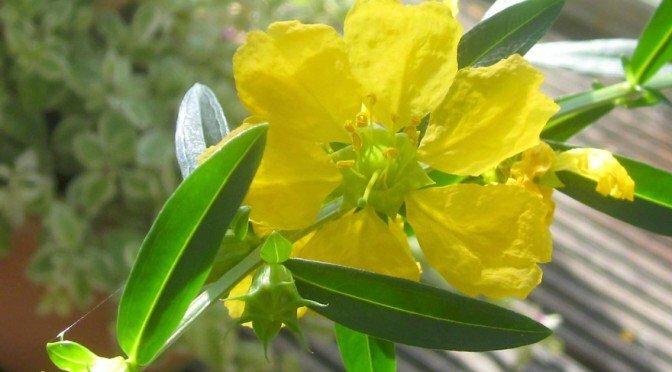 The plant was used to treat high fever and parasites as well as open wounds. Sun opener was also believed to bring fertility. Infertile women took baths prepared with sinicuichi leaves and other herbs. Sinicuichi was used both to promote conception and after giving birth (or a miscarriage) in the form of a tea. Apart from its supposed health benefits, sun opener was also used for spiritual purposes. A traditional way of preparation included leaving the brew made from the plant in the sun for a day to allow it to ferment. During this time, the wisdom of the sun was said to be embedded in the elixir. Sinicuichi contains several alkaloids including vertine, lyfoline, lythrine, heimidine and lythridine. Vertine, also called cryogenine is considered to be the main psychoactive compound in the plant. The most common cognitive effect of the sun opener is, as mentioned before, auditory hallucination. While this manifests as standalone auditory effects, that is not always the case. For some, these effects are merely reverberations and a sort of enhanced sense of sounds and music. The acoustic effects are generally accompanied by mild visual changes as well. This generally appears in the form of a yellow tint to the user’s vision, especially the peripheral vision. Sun opener is a vasodilator; widening blood vessels which causes a lowering of blood pressure. This also causes the user’s body to cool slightly. The other common physical effect of sinicuichi can also be considered a side-effect, as it is generally considered unpleasant. Consumption of the substance causes sore, aching muscles and a decrease in the control of motor functions. There are very few hangover-type after effects associated with sun opener, though some few users have reported headaches. Feelings of tiredness, sore muscles and the golden tint of one’s vision may persist to the next day. Though sinicuichi is said to improve memory through short-term use, on the long run heavy use may cause memory problems. However, this affects a very small percentage of users. Sinicuichi has been used traditionally for many medical purposes, though only some of these have been proven to be effective by modern medicine. Sinicuichi has long since been used by indigenous tribes in Mexico for treating high fever and parasitic worms. Open wounds were covered with the plant to prevent further bleeding. Sun opener was also used to treat infertility. The different alkaloids present in sinicuichi have been discovered to have various health effects. 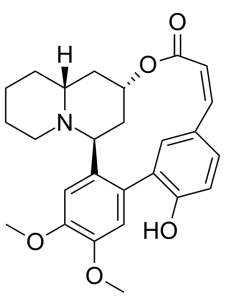 Lythrine is a diuretic while heimidine has been found to have anti-inflammatory properties and sinicuichine acts as a tranquiliser. Cryogene and nesodine are anti-inflammatories as well, with cryogene also acting as a sedative and anti-spasmodic. These two compunds were, in fact, found to have stronger effects than aspirin. The part of sinicuichi used for its effects are the leaves. Fresh leaves should be left to wilt. The threshold amount when using dry leaves is about 10 grams. The third form of the plant is sinicuichi extract, which is much more potent than the leaves. Higher doses produce somewhat stronger effects. There have been no reports of anyone overdosing on sinicuichi. However, sun opener is a relatively little known legal high, so users should always be cautious with higher doses. Sinicuichi is generally consumed in the form of a tea. 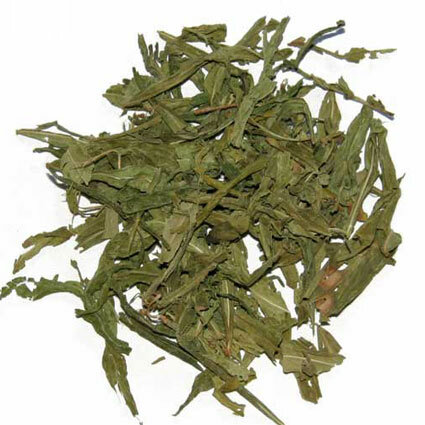 The tea is generally made from dried leaves, though extract may be used as well. The leaves should be crushed and dropped into either hot or cold water. The “tea” is then left to sit in the sun for at least an hour, but preferably for a whole day, like in the traditional recipe. The mix is then filtered and drunk. Though the traditional way to consume sun opener is by making a tea from the leaves, it is also possible to smoke the leaves. According to user reports, a larger amount of leaves is necessary this way, though the exact dosage is not known. The preparation is simple: the crushed leaves are rolled into a cigarette. The taste and smell are reported to be sweeter than tobacco. Sinicuichi may be combined with other substances such as wild dagga to achieve a more pronounced effect, but the health effects of this method are yet unknown. I can’t personally recommend any sinicuichi vendors shipping from the Netherlands at the moment. The following are experiences of ordinary people, who took sinicuichi. “I was woken in the middle of the night by the sound of the train going by far off blowing its horn (as it normally does and occasionally I awaken to it). But the train horn sound had digital delay on it, a musical effect where the sound echoes over and over. Some of the information presented here might be outdated or incorrect (check “last updated” below). If you are planning to try out any of the substances, make sure to research them yourself as well. Sinicuichi is only one of the legal highs included in Simon’s legal high guide, check out the others as well.